Welcome to Cheerful Madness!! official shops at Spreadshirt. 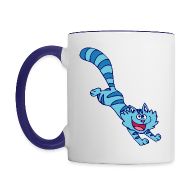 We make our cartoons, graphics and designs available on T-Shirts, accessories and gift items through our partner Spreadshirt, both in Europe and in North America. 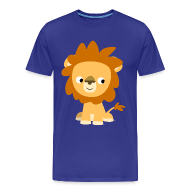 Cute Inquisitive Cartoon Lion Men's Classic T-Shirt by Cheerful Madness!! See all of our cartoons, graphics and designs available on the Marketplace at Spreadshirt UK and Europe. New artwork is being added all the time. You can also use Cheerful Madness!! 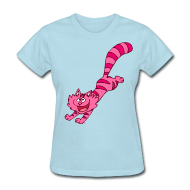 Designer Shop at Spreadshirt Europe and Cheerful Madness 2!! Designer Shop at Spreadshirt Europe (floral and abstract designs with a cartoon influence) where all our cartoons, graphics and designs are made available for you to add easily to any product you want and anywhere on the product (front, back, sides, sleeves, etc), customize it and order it. We are also partnered with Spreadshirt US!! and our cartoons, graphics and designs are available to order on T-Shirts and more, in the USA and Canada! A few examples of our products in the Marketplace of Spreadshirt US are visible below. But feel also free to use Cheerful Madness!! 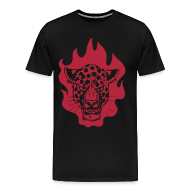 Designer Shop at Spreadshirt US , the efficient and easy-to-use module that allows you to access our designs and add them to any product, from T-Shirts to accessories, place them anywhere on the product and customize and order it. All the graphics, designs and cartoons aren't necessarily the same in the European and North American shops. 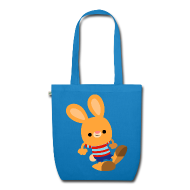 For example, if you see a design in the European marketplace but yet it isn't available in the American one but you would like to order it from the US marketplace or vice versa, click the 'Contact Us' button to let us know and we will make the design available as soon as possible so you can order it.